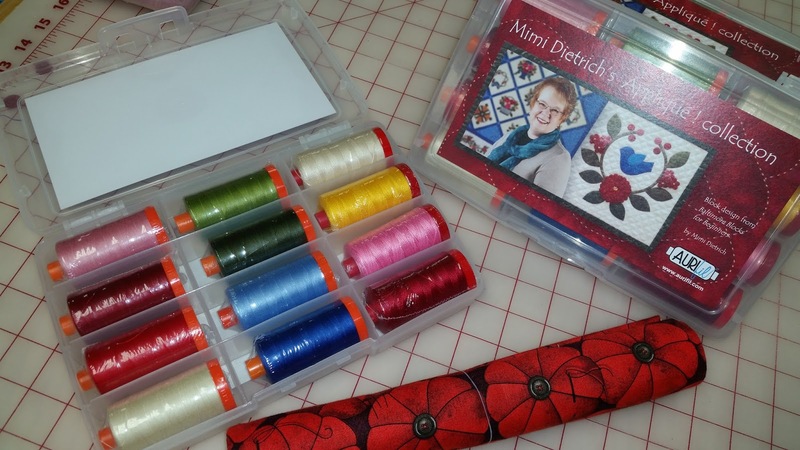 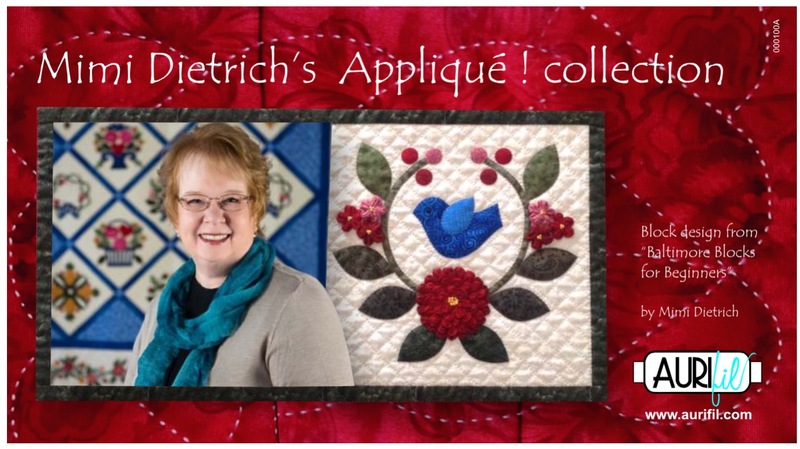 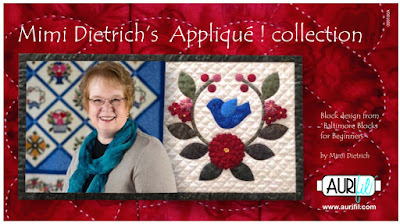 Amazing New Auriful Thread Collection from Mimi Dietrich! The collection includes eight spools of size 50 wt. 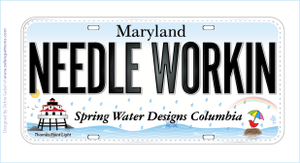 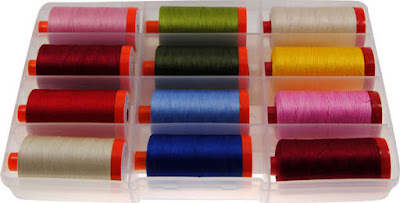 thread that are perfect colors for Baltimore Applique projects, and four spools of size 12 wt. (shown on the right side of the box), which is thicker and is great for hand quilting (cream), gathering dimensional and ruched flowers (red & pink variegated), and making French knot embellishments (golden yellow). 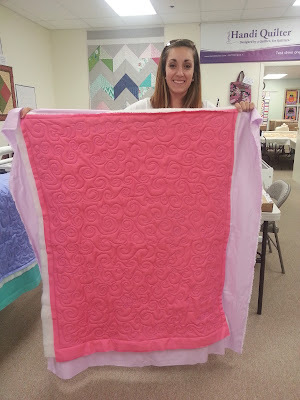 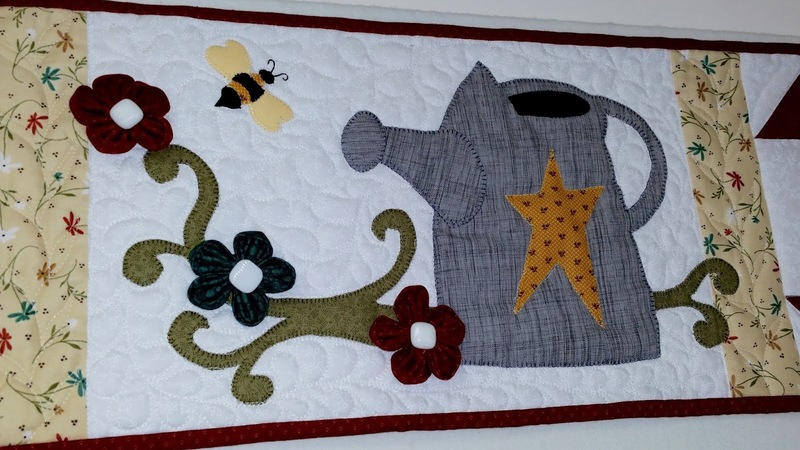 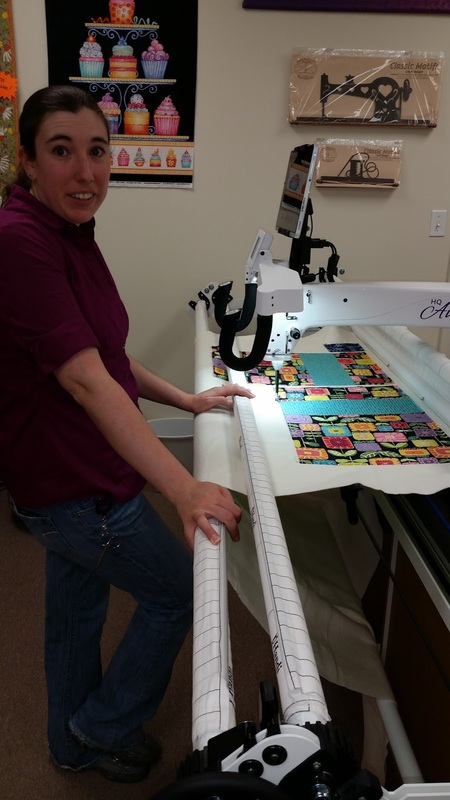 My oldest daughter, Heather started making quilts back when she was in college. 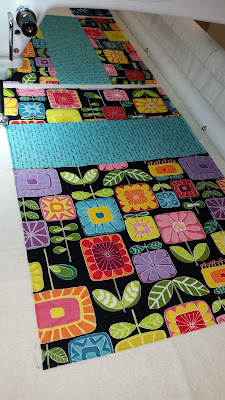 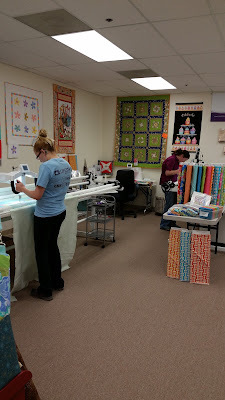 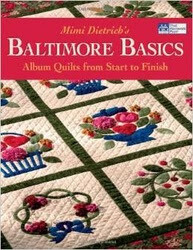 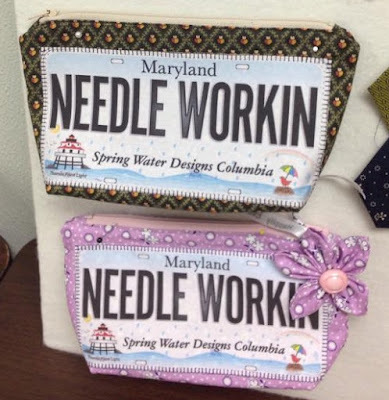 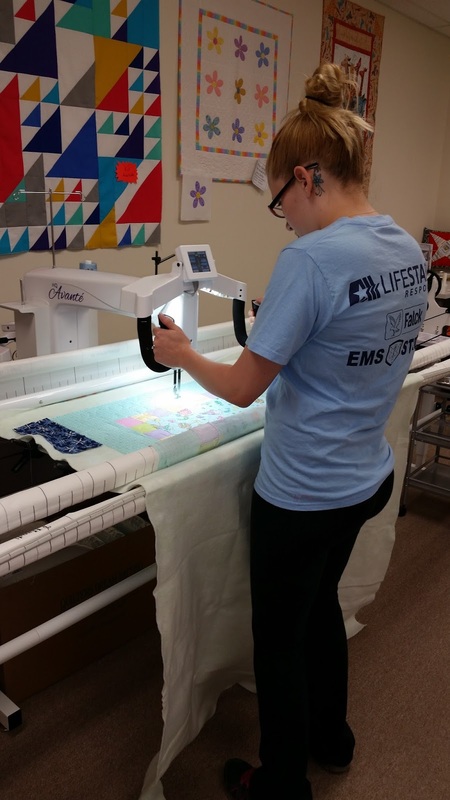 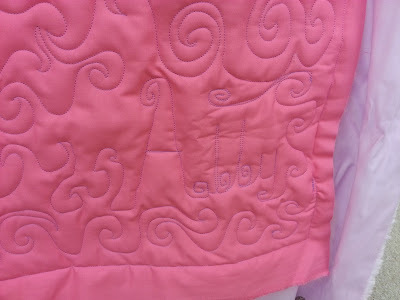 But recently she has been working with me at the shop the last few months, and has really been quilting up a storm. 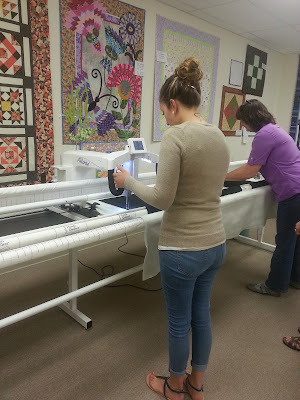 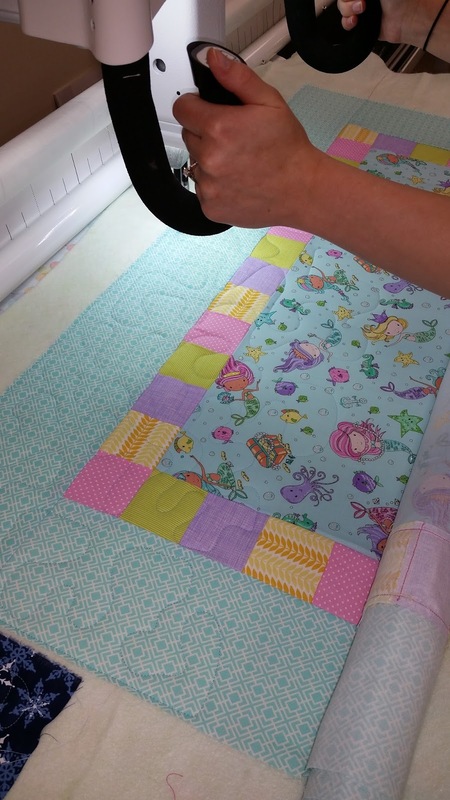 This day she was quilting some placemats that she's made for shop samples. 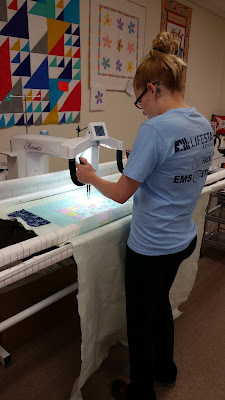 My younger daughter, Lisa worked at the shop last Summer, and is putting in some weekends working with us when she can. She's sewn for a few years now too. This was her playing on the HQ machines a few months ago. 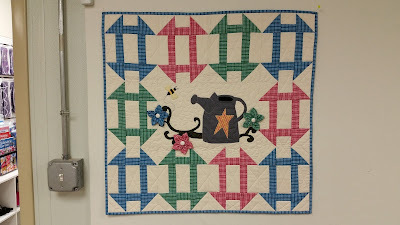 ...And one of the "wholecloth" quilts that she's made for her daughters when she was practicing. 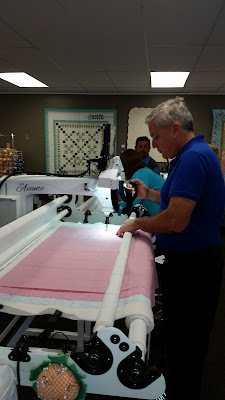 I'll have to see if I can get my son on the machines next...and then it's on to the Grand Children! 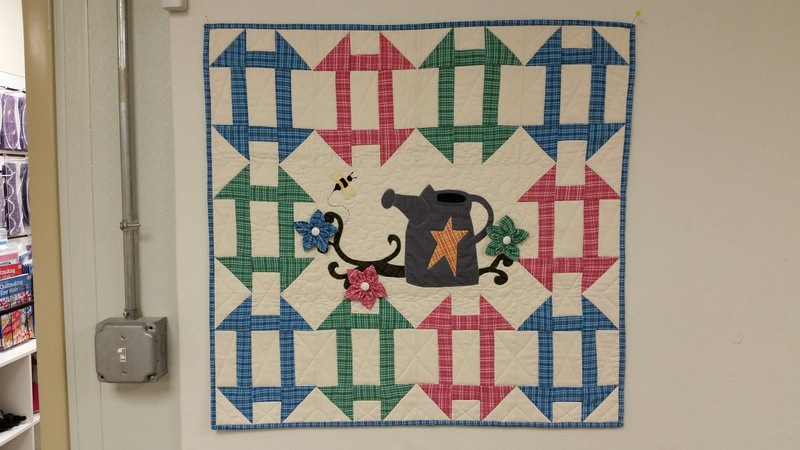 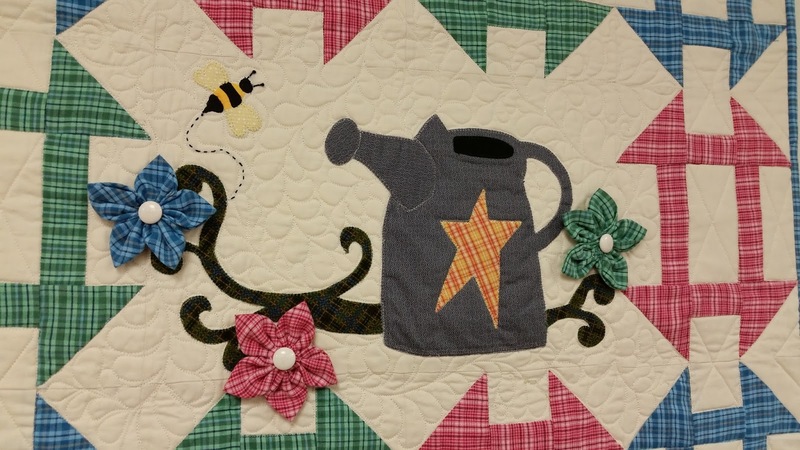 A Grandmother's Flower Garden block is so sweet, and the blue/yellow combination that Jodie used in this one is just fresh looking.